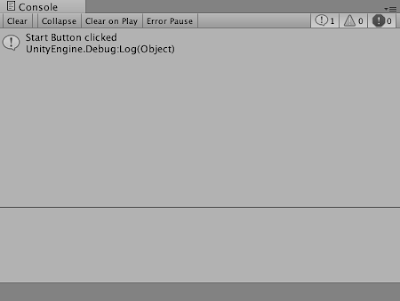 You can have multiple GameObjects on your scene in Unity. How can we determine if user has touched a particular element. We will see how in this post. We will use Physics2D.Raycast() for this. //We check if we have one or more touch happening. //We transform the touch position into word space from screen space and store it. //We now raycast with this information. If we have hit something we can process it. //We should have hit something with a 2D Physics collider! //touchedObject should be the object someone touched. As you can see we are using Physics2D.Raycast() to case a ray from camera to point of touch and then detecting a collision. Finally if we have collision information we check the tag associated with it to check out element of interest. Make sure for each such elements you add a collider component like 2D Box collider. Only then collision will work. Make sure you tag each elements correctly and use it to get your object when touched. You can create a prefab of background and use it in all your app screens to be consistent. That way changes made in prefab will be applicable to all instances of it. 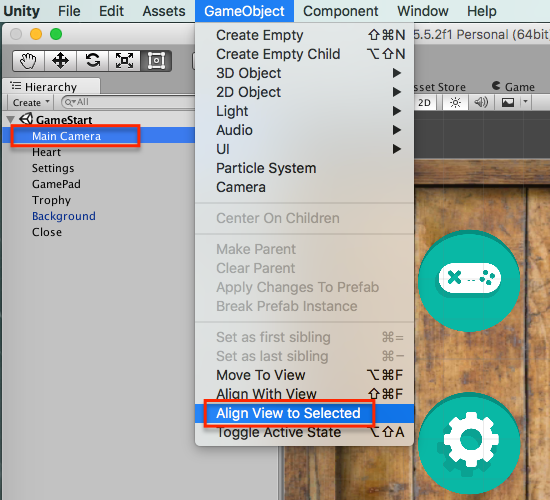 In previous post we saw how to setup unity for creating Android application. In this post we will see how to create a simple GUI button in a scene and put in in the center of your screen. Create or load an existing project. Next create a C# script and attach it to any of the objects on the screens. You can attach it to the camera as well. I am doing the same for this post. Now open this script in Monodevelop. Since this post only deals with centering of a GUI button I will not bore you with other scene details. Well just concentrate on GameStart scene which will have a GUI button in the center of the screen that says - "Start Game". So create a C# script called GameStart.cs (you can name it anything you want)., attach it to camera in GameStart scene and open it in Monodevelop of editing. Now lets understand whats going on. OnGUI() is the method that is called by Unity engine to render GUI components. We are going to add our button in this method. Next we create a button using method GUI.Button() which takes its x position, y position, it's width and it's height as Rect object which is 1st argument to Button. 2nd argument is the text itself that will be shown on the button UI. We are showing "Start Game" there. What goes inside the wrapped if will get executed when the button is clicked. We are simply logging the click event and loading scene2 i.e GamePlay scene. Point to note here is the x,y coordinates and the height/width of the Button. Notice how we have used Screen.width and Screen.height values here, then divided it by 2 to get mid and then adjusted the coordinates as per the actual width and height of the button we want. Now click on Start Game! button and notice console output.